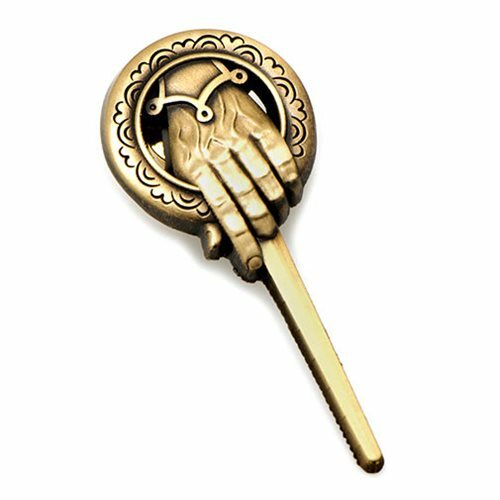 Whether your allegiance is to Robert, Joffrey, Tommen, or another, show your support for the King of Westeros with this Game of Thrones Hand of the King Lapel Pin. Based on the hit HBO series Game of Thrones, this antique finish lapel pin with gold plating shows everyone that you are second in command. Measures about 1 7/8-inches tall x 3 /4-inches wide.